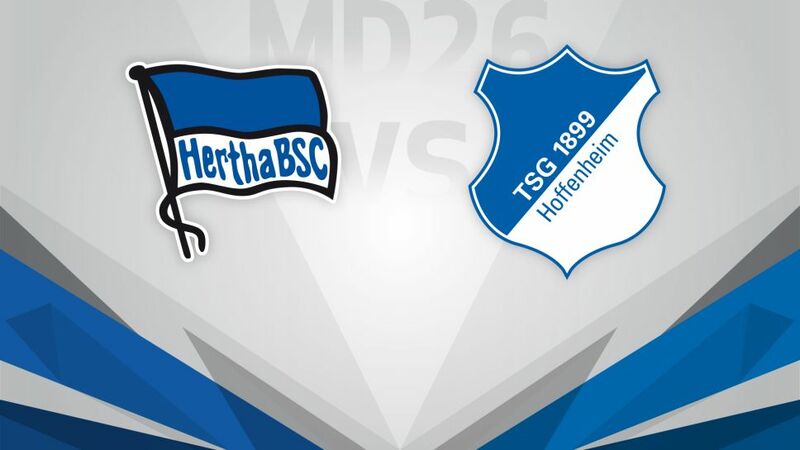 Hertha Berlin could cement their place in the top five on Friday (kick-off 20:30CEST/19:30BST) by condemning TSG 1899 Hoffenheim to just their third league defeat of the season. Click here to make sure your Official Fantasy Bundesliga team is in order for Matchday 26! Hertha will be glad to get back to the capital after another chastening experience on the road on Matchday 25. Cologne striker Anthony Modeste helped himself to a hat-trick as the Old Lady went down to a sixth defeat in a row on her travels. Pal Dardai’s team have the best home record in the league, however, and an 11th win from 13 matches at the Olympiastadion would move them to within two points of Hoffenheim in fourth. Hoffenheim are now only four points behind second-placed RB Leipzig and will look to extend their current unbeaten run to six matches. Niklas Süle got the only goal of the game in the reverse fixture in October and if the defender is on the winning side again in what would be his 100th Bundesliga appearance, then the visitors would move above Borussia Dortmund in the table – at least temporarily.